Yong Kimeng(Mr.): Member of the Board: Mr. Yong Kim Eng, President of PDP-Center, an NGO that advocates for human rights, democracy, and youth issues. Kim Eng has workded for organization since 1992. He graduated with a Bachelor Degree in Khmer Literature from Royal University of Phnom Penh in 1995, with a Diploma in General Administration from Royal School of Administration in 1998 and with a Master Degree in Management from International Institute of Cambodia (IIC) in 2015. From 1994 to 2005, he was President of the Khmer Youth Association (KYA) which is only youth organization established during the UNTAC period which still active today. Mr. Yong Kim Eng’s focus has been on youth activities. 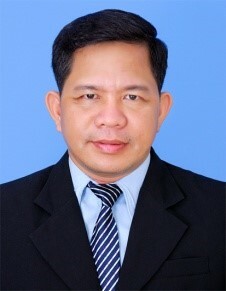 He founded and served as president of Youth Council of Cambodia (YCC) 2001 to 2004. Moreover, he sits on the Board of Directors for many NGOs such as COMFREL, YRDP, CISA, CHRAC, etc. He continues to be active in these areas today. He also advocates for anti-corruption law, access to information law, youth policy, alcohol policy and national human rights mechanism. Mr. Yong Kim Eng attended many high profile events, such as the Asia 21 Conference (Singapore), New Generation Seminar (Hawaii), Future with Asia (Sweden), World Youth Leaders Conference (South Korea), World Youth Forum (Austria), and others.